I just can't say no! Last edited by Fuzzy_Modem on 2011-01-16 12:48am, edited 1 time in total. The Century Class is the best design for another Enterprise. Plus, the Valiant Class has the same type of design. Chaotic Neutral wrote: The Century Class is the best design for another Enterprise. Plus, the Valiant Class has the same type of design. I'll have to check those out. Nice avatar btw, I loved the "real" Deadpool. The idea is to make her really big, almost starbase sized, and to join the warp nacelles to the saucer. The Enterprise is by definition a vessel used primarily for exploration. This Enterprise would serve the same purpose, but also support a small fleet for long, dangerous expeditions. It's been pointed out that I need to be working within the confines of an unfamiliar game universe. I'll do some research, but this idea^ doesn't seem to be logistically implementable, and I'm back to square 1. The Enterprise D was so much sleeker and more futuristic than it's earlier counter-parts. Why did the design aesthetic seem to get more utilitarian and... ugly after TNG? The thing with the Enterprise D and the Galaxy Class was that they were designed during a long period of relative peacetime, for peaceful long duration missions. They were designed to be comfortable and to carry crewmember's full families aboard, and so had to have more concessions towards comfort than a ship designed for a purely starfleet crew. After the Galaxy class, and with the rise of the Borg and Dominion threats, the tendency shifted towards more militaristic ships that values function and quick production. There was no need (or desire) to carry a family into a warzone, so ships devoted this space to more useful things, or were simply built smaller. Though, I've always had a soft spot for the Excelsior class starships. I quite like a more utilitarian and functional look. I'm so glad you didn't say ZOMG DEFIANT *FAPFAPFAPFAPFAPFAPFAPFAPFAP*. That said - seeing a take on the E-J would be pretty neat. I saw something online that suggested it was ~2miles long (!) like to see that fly into the noob zone. It's an interesting contest, but until it starts I can only wonder how long it'll be until they fix the typo on that page. Competent Modder, Proficient Programmer, Grand Master RtD GM. GM of Multiworld Madness, a Roll to Dodge epic. GM of Space Whaler Escape!, a Roll to Dodge survival/skirmish. This is the Enterprise J? What happened to F, G, H, and I? Fuzzy_Modem wrote: This is the Enterprise J? What happened to F, G, H, and I? I'm thinking of moving the other direction, disconnecting the nacelles from the saucer and reverting to something closer to the original. It's a hard place to be, because If you move away from the same basic shape, you've failed to create the Enterprise, but you want it to be distinct enough to get noticed. Right now I'm thinking circular saucer, and sleeker than the D, but I think I need to work in a more subtle direction. It should still be instantly identifiable as the Enterprise at first glance. While I'm pondering, I've modeled the most recognizable aspects of the enterprise, and I'll now start deciding what characteristics I want to move away from. Hey - what class was that crazy fed ship at the end of VOY? the one with like 6 Nacelles? I believe that was the Voltron class. U.S.S. Enterprises-F rules all competitors. The Valiant Class is a worthy successor to the Defiant. Last edited by Chaotic Neutral on 2010-11-24 05:42pm, edited 2 times in total. Themightytom, what the hell is the Voltron class? I may be moving in a direction now, with the orthos on the bottom. I'm learning that Star fleet design philosophy has changed in specific ways since TNG. I admit to having bailed on Trek in favor of Babylon 5. I've probably missed 75% of the material that came after TNG (movies excluded) so it's not surprising that I'm having trouble. I won't win this contest. I could visualize it with the other two, but not this one, and that's fine. I'm still jazzed. As long as I've been doing 3D modeling, I've never made an Enterprise. Still very early/rough, and I'm very open to suggestions. I think I need to re-imagine the nacelles completely. 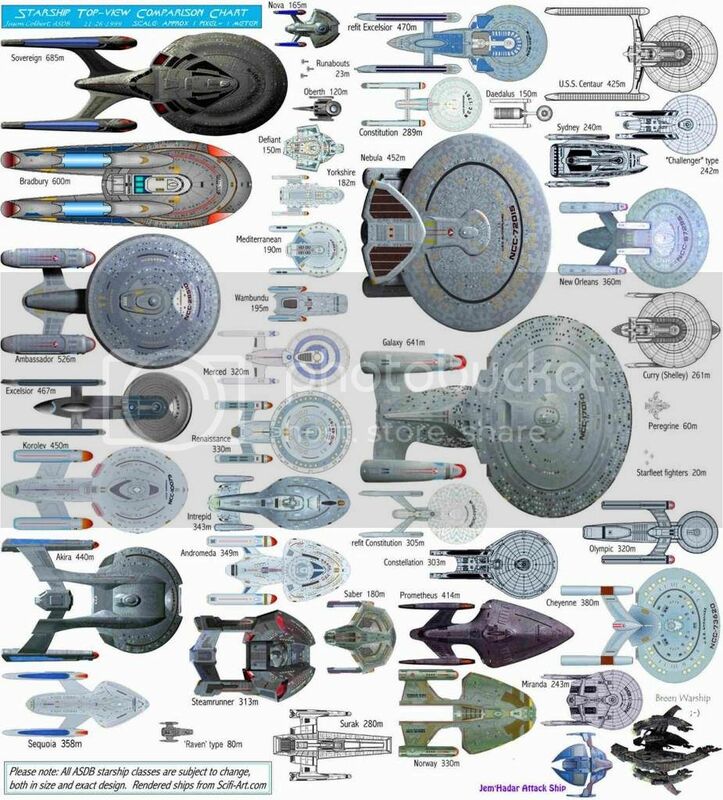 I want them to overlap the saucer section like they do, as I haven't seen that done before, but I think they need to be longer, extending farther back, and less like tng/tos. I'm also torn on the current no-neck design. I'm tempted to make it nice and thick like the excelsior, but it seems that would be continued movement toward the past, rather than extrapolating the designs of the future like I ought to be. -and I think it's the closest to the direction I want, but with everything swept forward. Doesn't look right. The saucer and hull are way too short, it looks... Ungainly, the opposite of graceful. I really love that Century-class posted by Chaotic Neutral. Where'd you get it? Is somebody entering it, was it an earlier fanwork, or is it an official design? It looks good enough to be one. Way to overwork a metaphor Shadow. I feel really creeped out now. I am an artist, metaphorical mind-fucks are my medium. Just a joke referencing the tv show from the eighties. I was mocking the concept of a multi vector assault mode. That's a really cool design, both original and evocative of an Excelsior-upgrade. But while that is what the Ent-B was, it still makes me think Excelsior, and not Enterprise.